75020 Jabba's Sail Barge is a Star Wars set released in 2013. 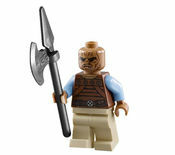 This is a description taken from LEGO.com. Please do not modify it. 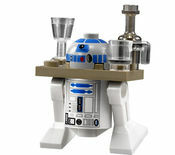 (visit this item's product page) Help Princess Leia and R2-D2 escape from Jabba’s Sail Barge™! Princess Leia and R2-D2 are secretly plotting their escape from Jabba’s Sail Barge™ prison. 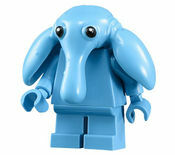 Help them to sneak past the guards, Weequay and Ree-Yees, while Jabba the Hutt gets distracted by musician Max Rebo! Find a way to slip through the opening side windows of the floating Sail Barge, then get past its hidden pirate cannon, deck cannon and 2 flick missiles! This essential LEGO® Star Wars™ set features wheels, fold-down sides, removable deck, jail, kitchen and Jabba’s throne. 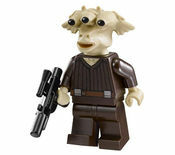 Includes Jabba the Hutt, R2-D2 and 4 minifigures with weapons: Princess Leia in slave outfit, Max Rebo, Weequay and Ree-Yees. 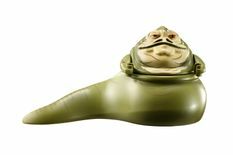 Facts about "75020 Jabba's Sail Barge"
Help Princess Leia and R2-D2 escape from Jabba’s Sail Barge™! This page was last edited on 9 January 2016, at 20:52.